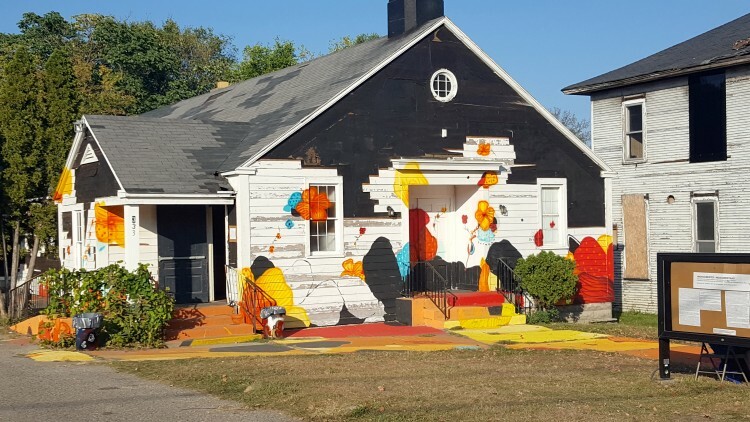 ArtPrize 10 is right around the corner, and we’re ecstatic to have so many passionate and creative artists in our city, displaying your work and interacting with visitors. You hold an honored place in the ArtPrize family, and to further elevate all that you do—we’re continuing ArtPrize Artist Week, taking place September 16-20, in partnership with Creative Many Michigan. Creative Many is a statewide organization leading advocacy efforts to advance the creative industries in Michigan, spanning arts and culture, design, arts education and the diverse array of creative expressions. Their mission to develop creative people, places and the creative economy in Michigan underscores the transformative power of the creative industries and empowers Michigan’s “creative many” to join in creating a future that benefits everyone. They’ll be hosting four days of immersive panels and workshops providing professional development for ArtPrize Artists. Engage with creative professionals from across the country, and with other ArtPrize artists, at these Artist Week events. Interested in staying in Grand Rapids for these events and others during ArtPrize 10? Check out our Artist Housing program. Mark your calendars for these not-to-miss 2018 Artist Week events. Stay tuned! Details about complimentary registration, speakers and additional events will be announced in mid-August. Sunday, September 16, 2018 • 4-6 p.m. @ The Clubhouse. 2018 Artist Week will kick off with an informative discussion about the benefits of participating in a variety of artist residency programs available to artists. The session will explore different residency opportunities, from traditional rural retreats to innovative city experiences, and will cover strategies to maximize the benefits of dedicated and intentional creative time. Sunday, September 16, 2018 • 6-9 p.m. @ The B.O.B. Join us for our ArtPrize Kick-Off Party & Open House, sponsored by the Gilmore Collection. You and a guest will enjoy live music and delicious hors d’oeuvres, and dance the night away as we celebrate you. Creative Many’s Lawyers for the Creative Economy Program will provide participating artists with practical tools for understanding the legal issues facing artists working in all mediums. This session will include presentations and interactive exercises. On the eve of ArtPrize 10, this session will explore the ways that technology, data and privacy concerns are embedded in today’s creative practice. Through conversations with experts and artists, participants will gain new perspectives on the risks and realities of digital interactions with art. ArtPrize 10 voting officially kicks off on Wednesday, September 19 at Noon. Head downtown to Rosa Parks Circle at 7 p.m. for the ArtPrize 10 Opening Ceremony—including remarks from Jori Bennett, ArtPrize Executive Director; as well as performances by the GVSU Laker Marching Band and Dance Company, and The Grand Rapids Symphony. Navigating the art marketplace is challenging for experienced and emerging artists alike. This session will help participants better see the possible pathways to sustainability through artistic practice, and allow space to imagine the conditions required for the creative community to thrive.